Buying a home is a pretty big investment, but the chances are that at some point you are going to want to sell it on. It is therefore very important to make sure that you look after all aspects of it while you are living there. When you do decide to sell your home, you will most likely be hoping to sell it on for more than you bought it for and make a profit on it. There are lots of different ways to add value to your home, but what about the things you could do that unintentionally devalue it? When you buy a house it is very easy to think about the here and now, but what about the area the property is in? There are many different circumstances outside of your control that could really bring down the value of a home. Do your research and find out what the future plans are for an area – power lines, train tracks and main roads can all actually devalue your property by as much as 15%, regardless of what other improvements you might have made. With work, family, friends and hobbies to keep up with, often maintaining your home can be at the bottom of the to-do list and get completely forgotten. Your house may be perfect when you move in, but it won’t stay like that unless you look after it. There are some really bad things that can happen to your home, such as cracks in the walls, blocked gutters and damaged roofs, and all of them could potentially devalue your house by thousands of pounds, so make you deal with any situations as soon as they arise. The kitchen is usually the most important room in a house, but unfortunately it is also a room that can make or break a house sale. You may have your kitchen set up just how you want it, with timbers across the roof and a breakfast bar in place of a table, but unfortunately that might not be what a potential buyer could be after. If someone feels that they are going to have to re-do the entire kitchen, it could knock over £10,000 off the value of your home. The best thing to do is have a simple open plan kitchen-diner and decorate in neutral colours. This way only small changes need to be made and the room already looks as spacious as possible. You may think of yourself as a bit of a DIY specialist, but botched plastering or messy painting will really devalue your property and just make viewers think about how much it will cost to cover up all your amateur efforts. If you have any problems in your home, then just use the internet to find a reasonably priced handyman. Having any renovations or decorations done by an expert will keep your property in top shape and make sure buyers don’t start knocking pounds off the price in their heads. The one problem when it comes to colours is that everyone has a different idea of what works and what doesn’t. 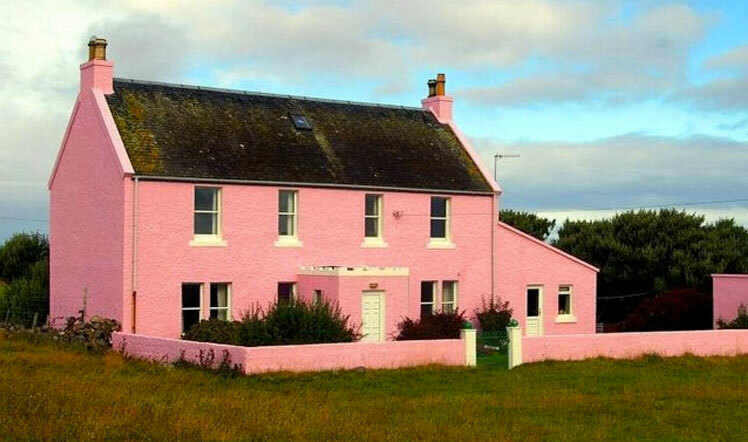 Having a bright pink room in your sitting room may brighten it up and work for you, but it could be someone else’s worst nightmare. Another problem with bright and intense colours is that they can be hard to paint over and take time to bring back to neutral, thus devaluing your home. Try and make sure all the colours in your home are unoffending and you should retain your home’s value. The exterior of a house is often overlooked, but curb appeal is so important when it comes to selling a house. Often viewers can be put off just from the walk up to your front door. Make a good first impression from the beginning, as not all viewers may be willing to ignore overgrown shrubs and broken paving stones, so it could be the difference between selling your home for the asking price and struggling with it on the market for months.